I am a big fan of bags - i love all different styles and shapes. I usually have a few everyday bags on the go that tend to be cross body bags or shoulder bags - i look for ones that go with everything but are a bit different, are great quality so they last, are practical and i only invest in one if i love it. I recently discovered a new leather bag brand called Bell & Fox - the bags are super good quality and the designs are classic but also modern. These would be good investment bags that would last a lifetime. I love the round one and the fox one. WHY WAS IT CREATED: After completing a degree in Footwear & Accessories Design back in 1992, I have worked as a designer and buyer for a number of brands including Clarks, TopShop, Monsoon, Reiss and Radley to name just a few. Having gained over 24 years of experience, I had a ’now or never’ moment to start my own brand! 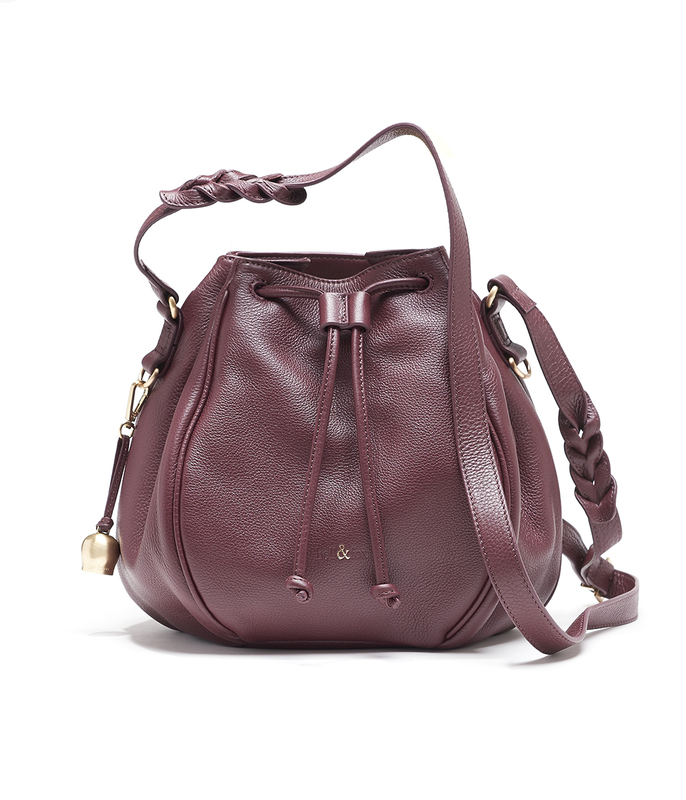 WHAT WE NEED TO KNOW ABOUT YOUR BRAND: bell&fox is a new brand, a new collection of contemporary, luxurious leather handbags and accessories designed with a British spirit, for the woman with effortless style. Launched in AW15, I wanted to channel my years experience within premium accessories design to form my own brand. Inspired by my passion to create a modern collection of leather handbags and accessories, combining style with function to form a collection of accessible luxury, bell&fox was born. Clean lines and great quality combined with functionality are the definition of bell&fox. I love effortless style that works with our now more relaxed way of life and dress code, and have drawn on my British heritage and passion of vintage silhouettes and detailing to create a range of luxurious leather bags and accessories that can be worn on any occasion. As your hardest working accessory, quality and function are key – my bags are made in full grain leather with interior mobile phone and tablet pockets designed for a modern lifestyle. WHAT WE SHOULD BUY FROM YOU: I love designs that are versatile, and work! My Wristlet Clutch works as a clutch both with or without the wristlet, then with the wristlet removed can be used as an iPad mini or kindle case and also as a pouch for make-up or all of those bits and pieces that I seem to need to carry around. 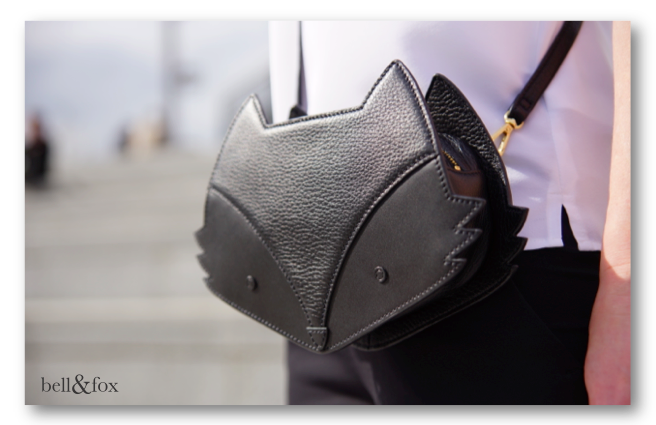 My Fox Bag works as a cross body bag, and also as a wristlet clutch – mine has had many many outings over the last few months! My Canteen Bag is a good enough size to fit what you might meed for an average day. My Bucket Bag recently held my purse, keys, phone, snacks, water, tissues and a jumper for a day trip out with my niece and nephew – its like the tardis! And my Hobo has a slip pocket inside for an iPad for those days when I need to go to carry even more. Whilst I sometimes need my large purse to carry all of my cards and nonsense, my credit card purse if perfect for when I only need a few cards, notes and coins. Can you tell I love them all? !